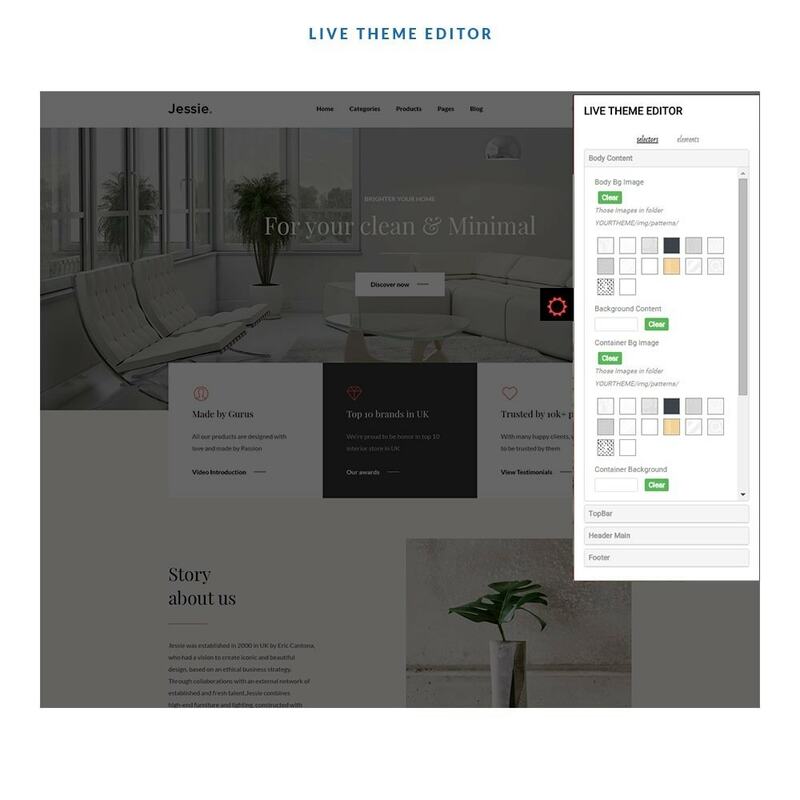 Leo Jessie is a beautiful clean theme for furniture, home decor and garden store. 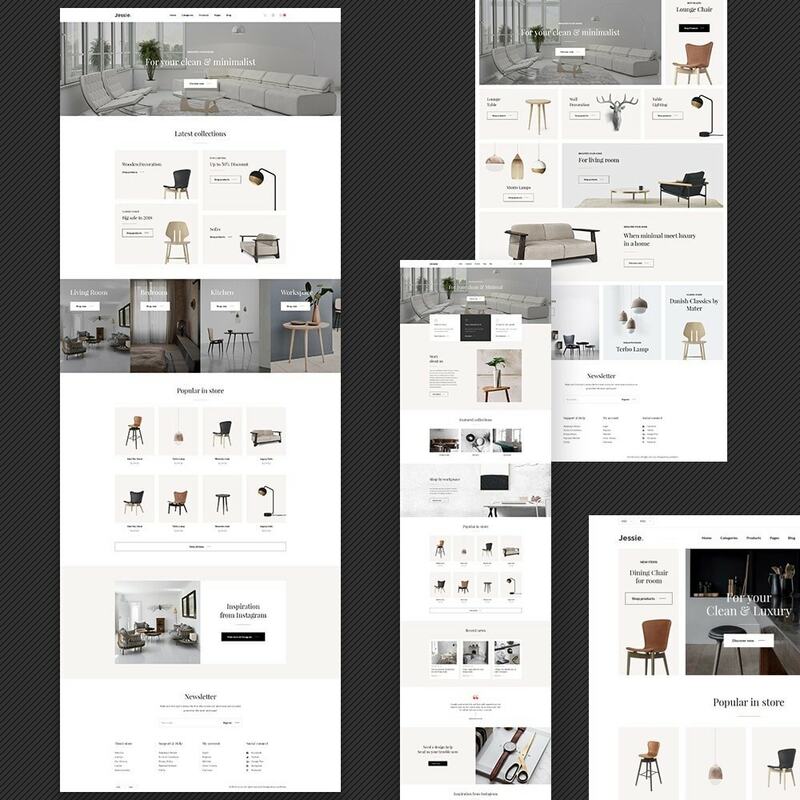 This fully responsive Prestashop theme comes with different layouts for more available choices for your furniture online store. Prestashop live chat and ticketing system (helpdesk) module that allows you to chat with 1000+ customers at the same time and provides convenient customer support channels to communicate with your customers easily and boost your sales. 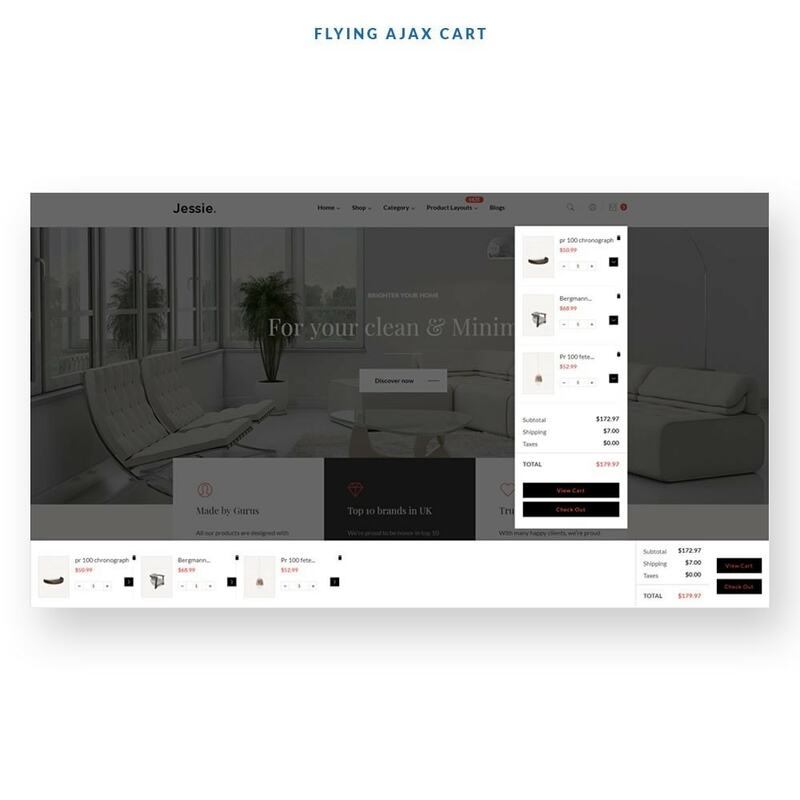 Leo Jessie attracts you right at the first sight as it is designed with elegant and modern look and rich built-in functionalities thanks to the perfect color combination, flexible and logical layout, being built on the best Prestashop Framework and Ap Pagebuilder module. 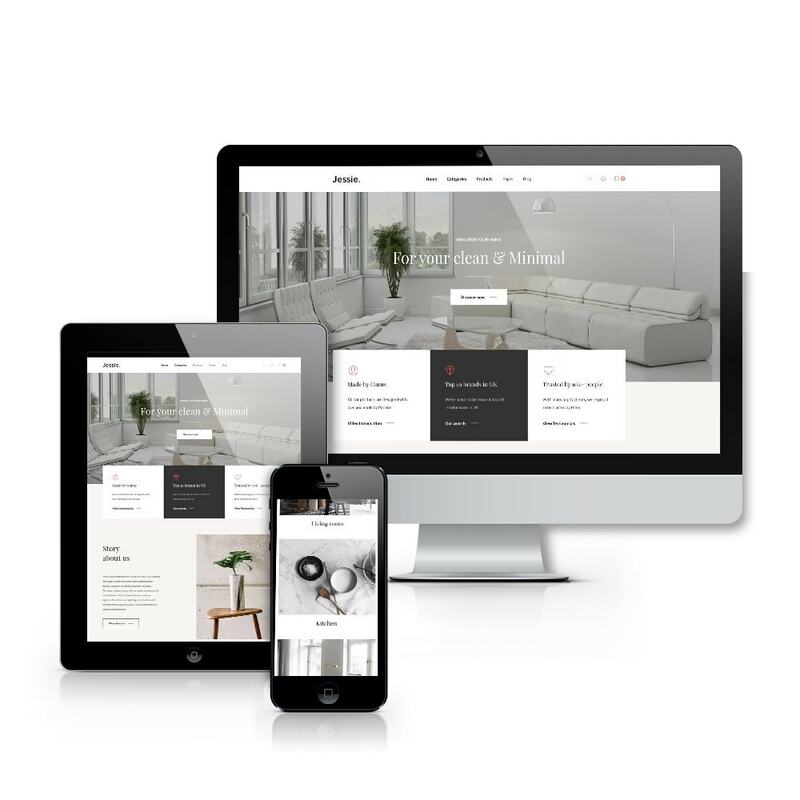 Moreover, Leo Jessie is integrated with powerful Prestashop modules so that you do not need to add other solutions from third party but still have a full-functioned and SEO-optimized eCommerce website to sell Interior or Exterior products. Firstly, Leo Mega menu is diversified at numerous positions and styles on site. It can be a horizontal menu at the top center or on the left of the homepage or it is compact in only one button (Home 3). 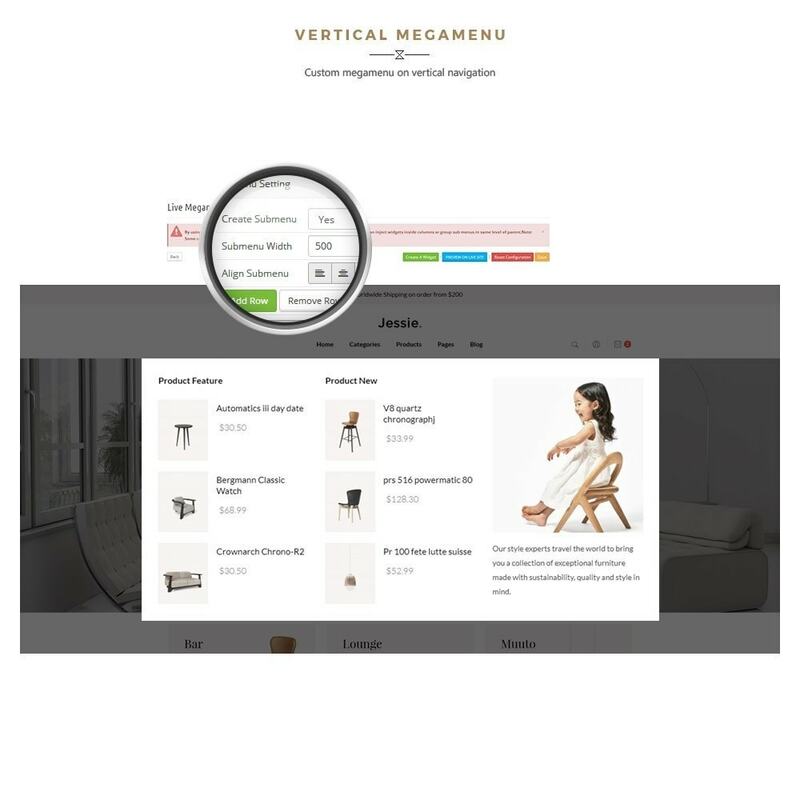 With this powerful mega menu you can add text, images, video of your items, improves your site’s navigation so that your client can find the wanted items quickly. Secondly, Leo Slideshow module makes it possible for you to show hot trend products on large slide to grab your potential customer’s attention right at the first look. Together with a lot of banners placed in a flexible way, you can display special promotion events or discount product for your marketing campaigns. 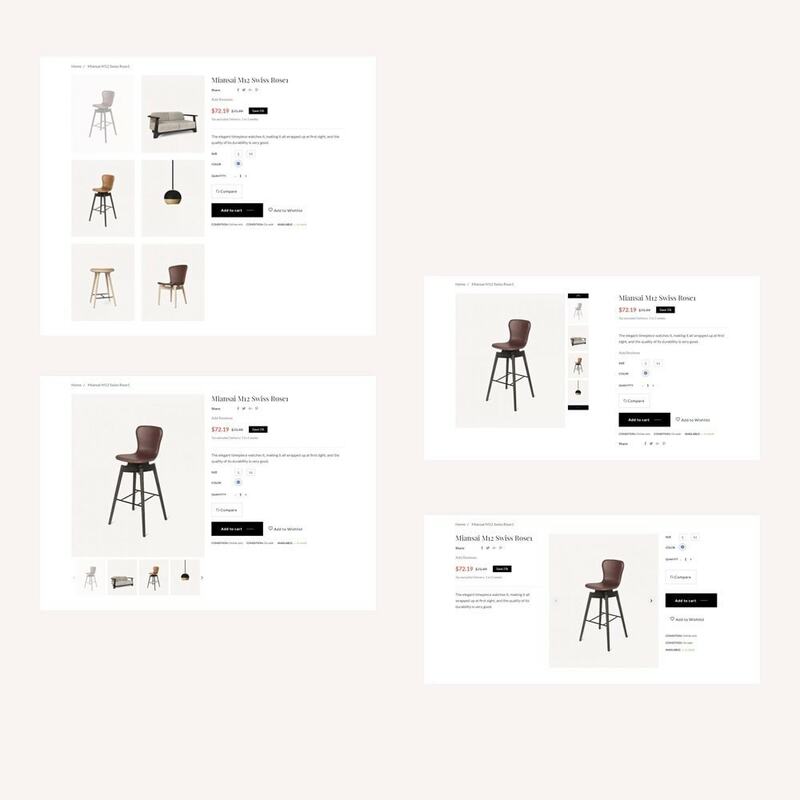 Furthermore, furniture and home decor product blocks are well-organized and equipped with user utilities for better purchase experience like Add to Cart, Fly cart, Add to Compare, Preview, Add to Wishlist. 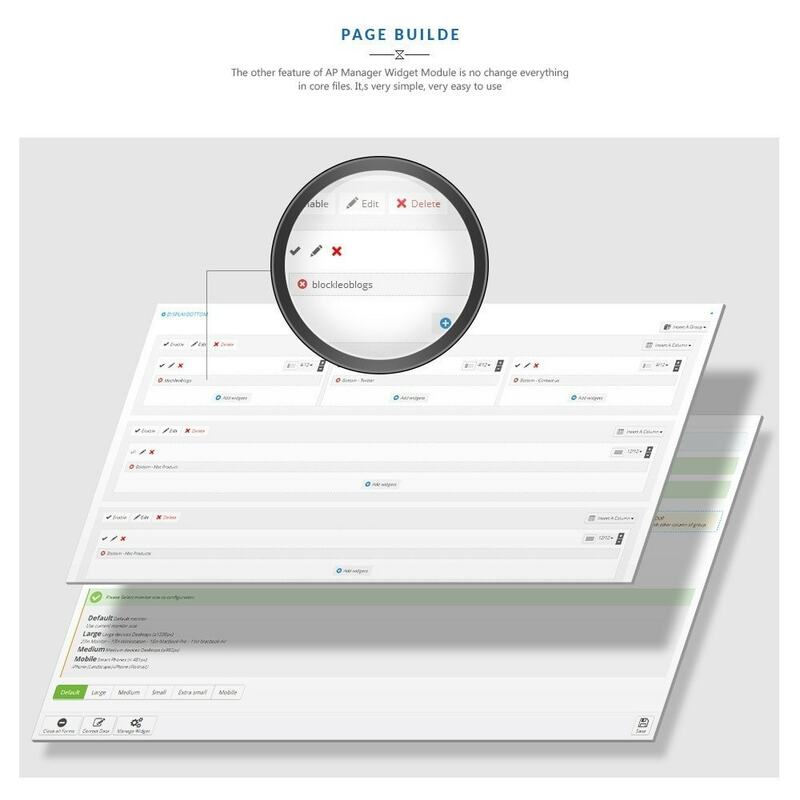 What is more, you can post and show the latest blogs on your site to enhance interactions with your clients. 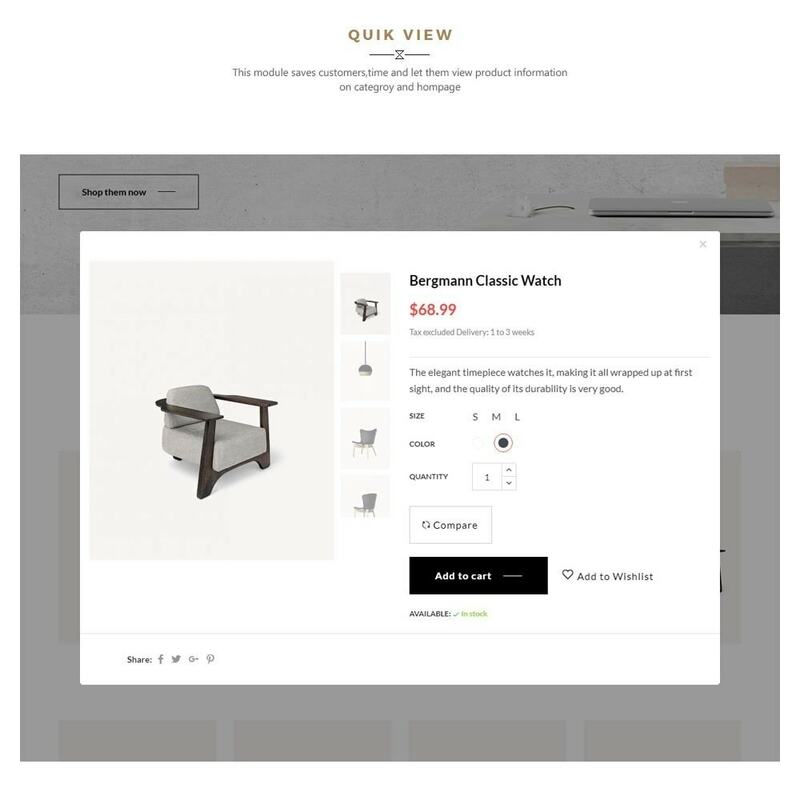 The footer is provided with your shop’s information to increase reliability for your home decor online store and social integration to broaden your potential client’s network. Let try out the demo for more visual experience. If you want to see how customizable Leo Jessie is in the backend, you can access with account information below.